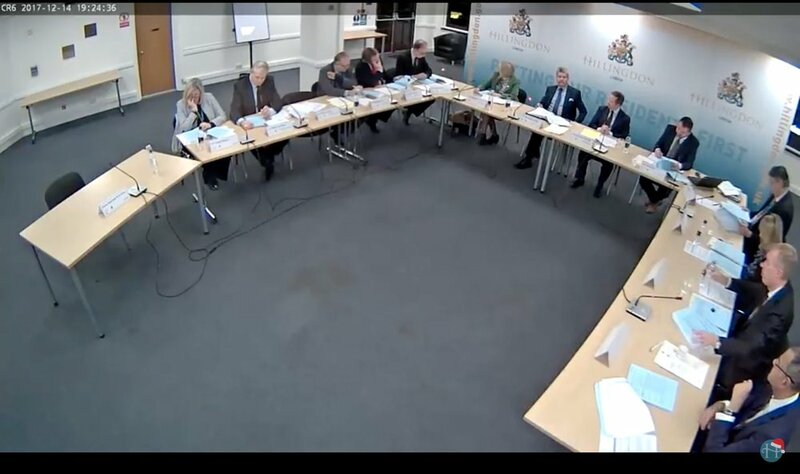 Hillingdon Borough Council's support for the fight against Heathrow expansion was reinforced when Council Leader, Ray Puddifoot MBE, addressed the latest cabinet meeting on Thursday evening 14th December. Mr Puddifoot went through the council's response to the government's revised draft Airports National Policy Statement, which must be submitted by the end of 19th December. Hillingdon has compiled a joint submission with four other councils that are working together to fight Heathrow expansion. The government still prefers R3 even though the evidence is weaker. Heathrow expansion delivers fewer economic benefits than Gatwick expansion. It cannot be delivered without unacceptable air pollution and noise. Heathrow expansion will deliver fewer domestic connections than Gatwick expansion. Heathrow will not meet air quality requirements but an expanded Gatwick can. Will only be told about "indicative" flightpaths. "The government plans that communities will not know when or for how long and how much noise they will experience until after it is set in stone." Earlier in the meeting, Mr Puddifoot, an accountant by profession, addressed the budget plan for 2018/19 and the financial forecast for the next four years. This included £200,000 for the fight against Heathrow expansion, in addition to the 300,000 set aside for this purpose. This may seem a large sum, but it is needed to fight a foreign-owned company that has been piling millions into promotion and lobbying for a third runway. This includes hospitality at party conferences and sponsorship at events where politicians can be influenced. Recently Heathrow ran a number of business summits, including one at the Hilton Hotel at Heathrow, to persuade small and medium-sized enterprises to tout for third runway business - should the project ever go ahead. If MPs don't read the government's own figures that show Heathrow expansion is not the best option for the country, they may vote to approve a third runway. Funding will then be needed to raise the issues in court. On this very day, Client Earth had been told that their next court hearing, to force the government to address air pollution, would be heard before 23rd February. Residents in the borough, particularly those in the south, will be extremely pleased that the council has budgeted so that Heathrow expansion can be effectively opposed for another year. We could win the battle before then if the plan is dropped but this time round we must win the war and make sure the threat of a third runway never returns.